groupelephant.com's ‘Beyond Corporate Purpose’ hybrid operating model (comprising for-profit, nonprofit and impact investment zones) provides us with a professional, institutionalized delivery capability in the area of nonprofit activity and impact investment. Elephant, Rhinos & People, or ‘ERP’ for short, combat the widespread slaughter of elephants and rhinos in Southern Africa by alleviating the pressures associated with poverty in rural communities in areas adjacent to the threatened species. The economical pressures of these rural communities are conducive to the proliferation of the slaughter of elephants and rhinos. 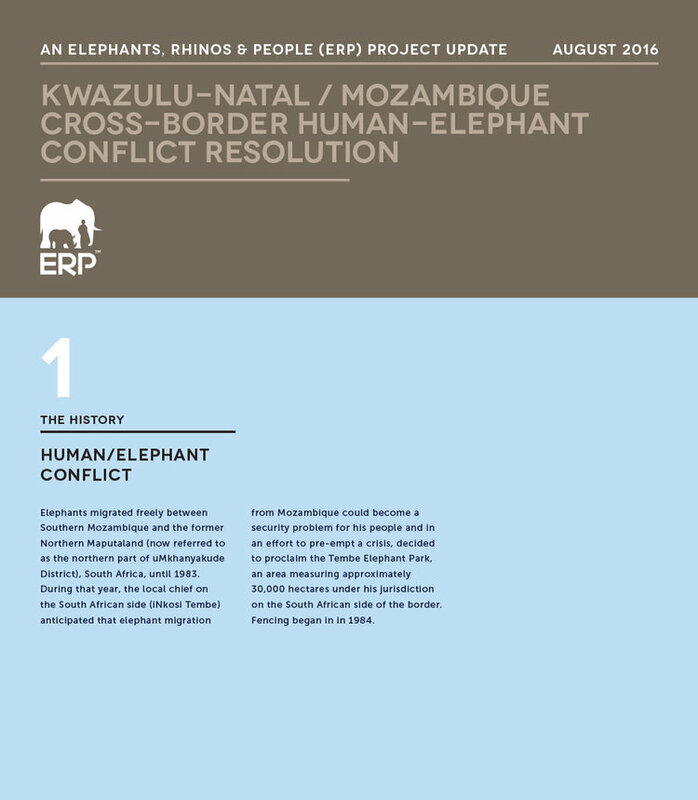 ERP also implements a range of tactical measures designed to combat the poaching problem and to improve elephant and rhino welfare in the near term, since the overall strategy is based on medium-term effect, which will not yield immediate benefits. 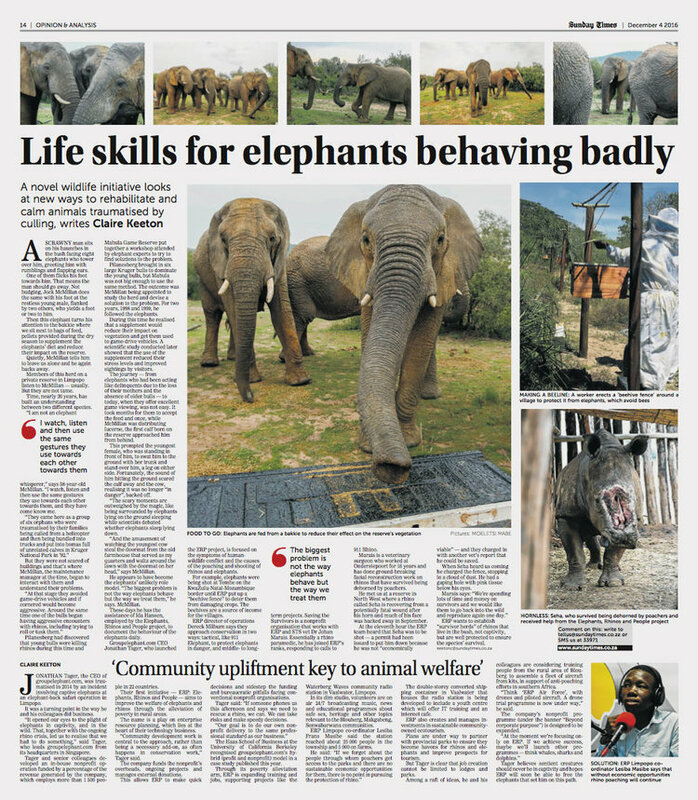 ERP Bulletin #1 covers recent media coverage of groupelephant.com and ERP, by way of an article published in South Africa’s leading Sunday newspaper in December of last year. You will also see a project report that we prepared in August of 2016 for SAP SuccessFactors, pursuant to a $25,000 donation they made to ERP as part of the 2015 SuccessConnect event. Those funds were applied to an ongoing, ground-breaking project dealing with cross-border human-elephant conflict in an impoverished rural community on the border between South Africa and Mozambique.